Every class I teach, from Journalism to AP US Government and Politics to World Studies, is inquiry based. Students learn and practice research and analysis skills by daily engaging with primary and secondary sources. They then apply these skills to authentic assessments built on the Project Based Learning framework. Each class also features differentiated, proactively planned materials to serve the needs of every student. In this way, I offer all students ways to successfully access the curriculum. The exemplary assignments and student work samples below offer an overview of what a visitor to my classroom might encounter. During the first unit of their freshmen year, World Studies students learn and apply geographic skills. The North Lawndale Needs project is an inquiry-based, community-engaged project in which students prepare a building proposal that fills a perceived need in the neighborhood. Students conduct surveys, research similar projects, interview community stakeholders, and ultimately present their proposals before a panel of Chicago professionals. Socratic Seminars are an integral part of my classroom. 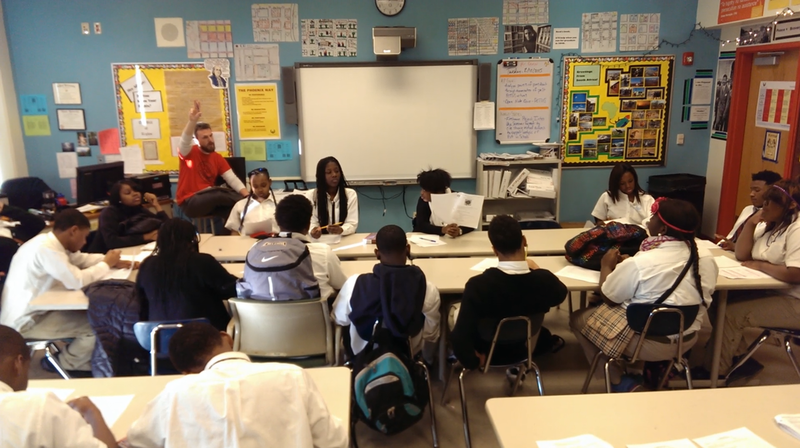 During seminar, students hold a formal, text-based discussion focused on a specific topic. A student leads the discussion, asking open-ended questions to guide his classmates. Students must think and listen critically, then state their own ideas about a given topic. 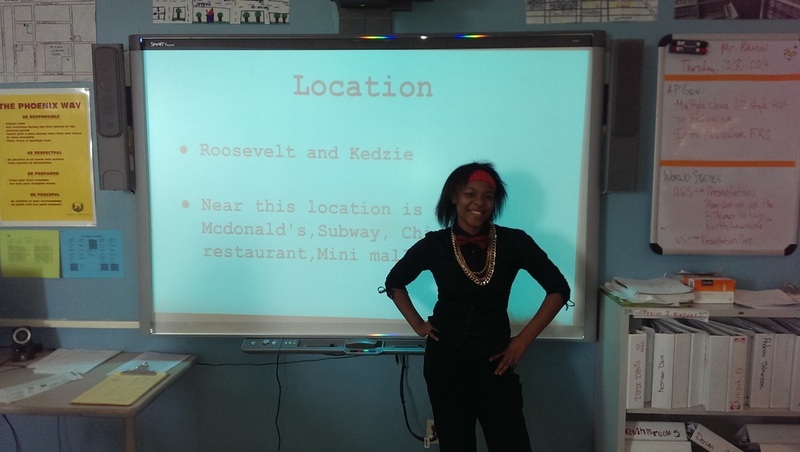 In my class, students often use seminars to critically examine text and documents they will be using as part of an authentic assessment such as the North Lawndale Needs project. 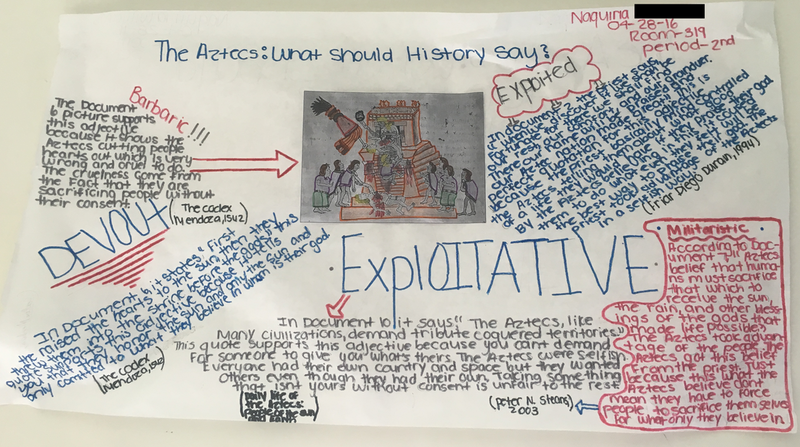 DBQ: what should history say about the aztecs? Throughout the year, World Studies students work to improve their source analysis, citation, and argumentation skills. As a precursor to writing their first argumentative essay, students read primary and secondary source documents related to Aztec civilization. They then chose adjectives they believed described the Aztecs, and used their documents to support their reasoning.